When to travel to Italy, anytime is the right time to visit Italy. Everyone dreams to travel and have a vacation in Italy. Incredible meals on the piazza, wines that flow as freely as the waters in the fountains, espressos in the shade of olive trees, stunning villas that seem to teeter on the sheer cliffs above the cerulean blue Tyrrhenian Sea, the splendor of the Vatican and the ancient history of Pompeii, Renaissance paintings and marble sculptures that leave you breathless, and of course, endless shopping for the latest fashion are some of the few things you’ll enjoy when you travel to Italy. Everyone dreams of a travel to Italy, and it’s easy to understand why! Whether you plan to enjoy a vacation at the beach or hiking in the mountains, a escape to the vineyards of Tuscany or immersion in the Eternal City of Rome, a vacation in Italy is one that you will remember forever. At Hospitaly, we recommend that you start your Italian vacation in the capital city of Rome, the birthplace of Western civilization and the cradle of Roman Empire. 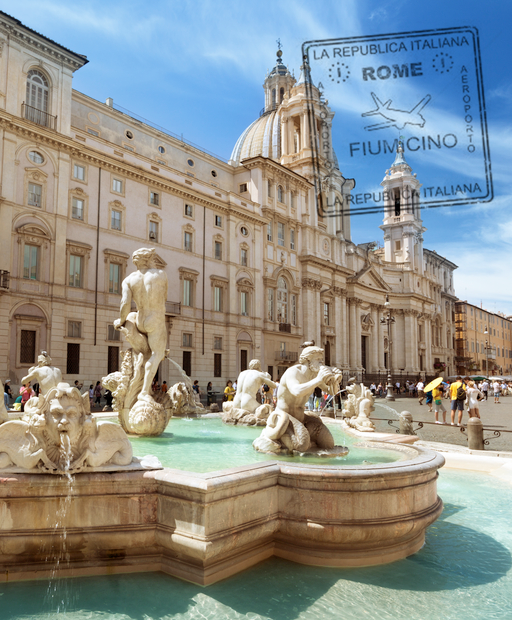 Rome has it all, from amazing dining, to ancient culture, religious sites, hundreds of fountains, Vatican City, the Colosseum and endless gelato. What else should you see in Italy? Don’t forget to try the gelato. It will change your life!